Chris Miller | American Forest Management Inc.
Chris is the Operations Manager for American Forest Management’s Carolinas Region. He is one of only 526 land brokers nationwide awarded the designation of Accredited Land Consultant (ALC) with the Realtors® Land Institute. He is an inductee into the 2018 Apex Producers Club of the Realtors® Land Institute, reserved only for those with the highest sales volumes in the land industry nationally. He has been in the land business since 2002 and joined the American Forest Management in 2005. Chris practiced as a consulting forester for 12 years prior to focusing on land brokerage full time. As a consulting forester, Chris assisted landowners with the management of their land to meet their ownership objectives. Chris is a licensed real estate broker and registered forester in both North Carolina and South Carolina. He specializes in the sale and acquisition of timberland, agricultural, recreational, and conservation properties. 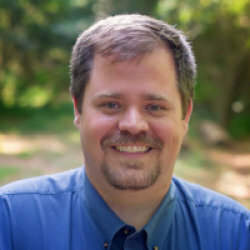 He is a board member of the Carolinas Chapter of the Realtors® Land Institute, committee member of National Future Leaders Committee of the Realtors® Land Institute, and sits on the publishing committee of Forest Landowner Magazine. Raised in Norwood, NC a small town in the NC Piedmont, Chris worked on a dairy farm as a teenager and was an avid outdoorsman. Growing up in a small town fostered his interest in rural communities, relationships, natural resources, and farming all of which come together in land brokerage. Chris currently lives in Weddington, NC, with his wife Ashley, also a forester and appraiser, their daughter, Nettie, and their son, JT. He is active in the Society of American Foresters, the NC Forestry Association, SC Forestry Association, Forest Landowners Association.